Now that I’m home from Hawaii my new mission has been to hold onto my natural tan for as long as possible. Away or not, I love a healthy glow. So, to ensure that my skin is hydrated and glowing year-round I turn to a number of products to get the job done. A tan, in my mind should = zero fuss and a more natural look that requires less makeup if any at all. It’s effortless. 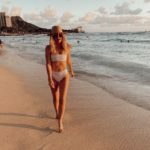 You can imagine, starting out in the self-tanning world can be somewhat daunting but here’s where I can help. 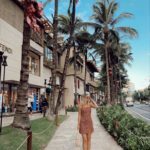 I was first introduced to St. Tropez years ago but up until recently, they were really the only ones on the market that offered a flawless, natural looking tan in a bottle. I want bronze not orange. I want glowing not shiny. I want deep Hawaiian golden without stepping foot in a tanning bed. 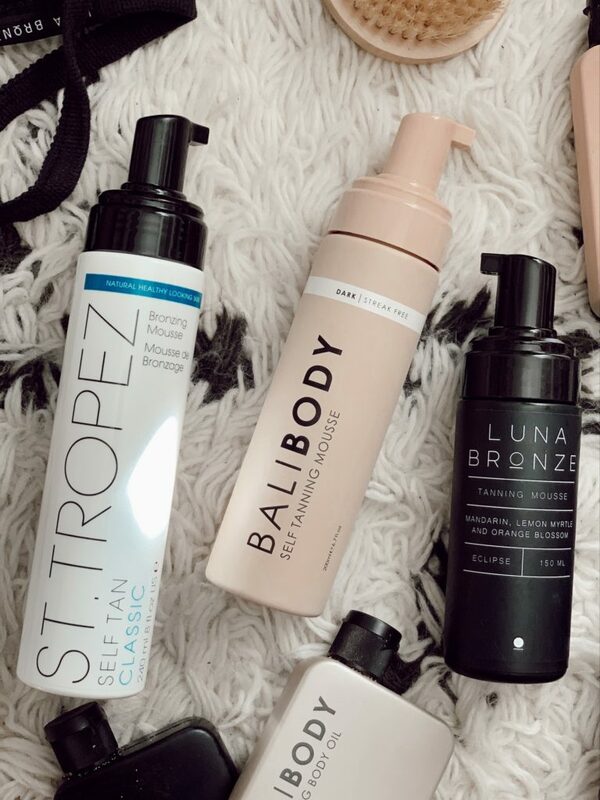 I’ve never had anything negative to say about St. Tropez (besides their version of the tanning mitt), technology and formulas have improved so I’ve naturally become interested in options and also, about what I’m putting on my body. 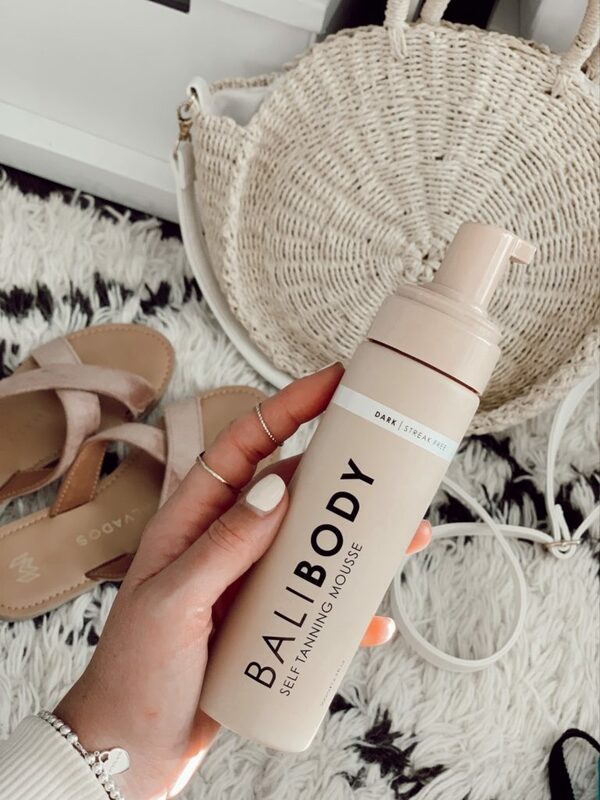 Bali Body just recently launched their first ever self tanning mousse (and luxe mitt for easy/effortless application) that not only gives a flawless, even, natural looking tan but enriches and hydrates your skin leaving it feeling nourished and glowing. This is my all-time favourite bb cream that I use daily (sparingly!) because it combines hydrating skincare benefits to protect (spf15), correct and perfect the skin. If there’s ONE thing to try it’s this. It’s the one product I will wear no matter what/where. If you like coverage and a natural looking glow this one’s for you. Basically a temporary tanner that washes off. This one is great in those pressed-for-time situations where you need some instant color but don’t necessarily have the time. When you shower again, it will wash off. Bali Body has a range of sun tanning oils, meant to be worn in the sun with SPF 15. These natural oils give you a deep summer glow while hydrating and protecting your skin. I tried these out during the last few days of my trip, starting with a base of SPF 30 then applied a thin layer of oil to lock in moisture and deliver results. The tanning oils are available in: Watermelon | Pineapple | Cacao Another favourite oil of mine is their Gold Body Oil also perfect when not at the beach for a night out. This brand also arrived from Australia, born from tragedy (a cancer diagnosis) with no sunless tanning options in sight. To be honest the clean packaging was what first got my attention, but the second – upon trying it – was the fresh citrusy scent from their signature blend of mandarin, lemon myrtle and orange blossom. The premium application mitt is consistent in quality with Bali Body’s which makes it impossible not to achieve a perfectly even finish in minutes. I will usually wait at least 3 hours to let the tan develop but you can leave it on longer for a deeper tan. 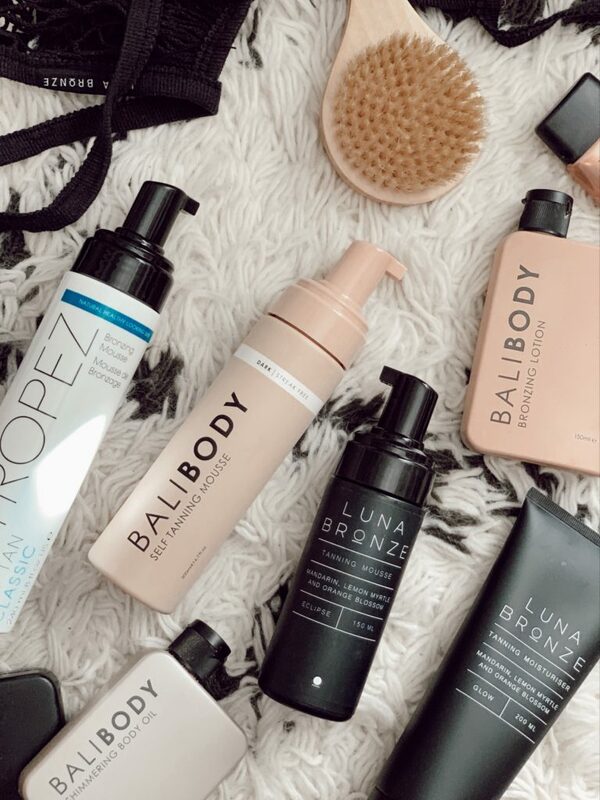 All of their products are made from up to 99% organic, natural and naturally-derived ingredients being the ‘safest’ and ‘cleanest’ sunless tanning system of the three I’ve tried. Develop a rich golden tan using Luna Bronze’s Eclipse sunless tanning mousse that illuminates over 1-6 hours depending on how deep you want to go. It also continues to develop for 24hrs even after you’ve showered. 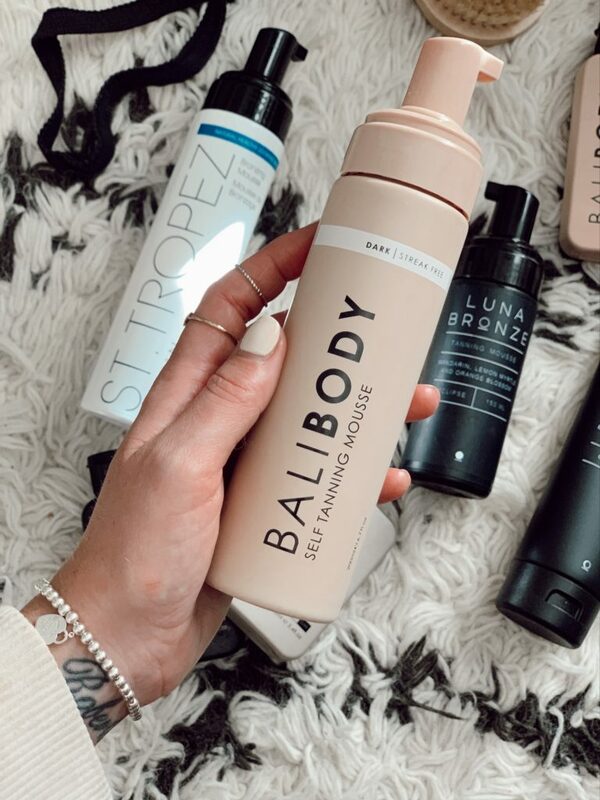 To lock in colour/moisture I like to follow up with their Glow Tanning Moisturizer, enriched with Vitamin A, B & E to help improve texture and hydration. I love all of these products and use them regularly depending on what I’ve got going on that week. I like to have options and it’s nice to finally have a solid lineup on rotation that I can count on to provide full coverage and a summer glow when I need it. Not only do these products help me feel my best on the outside but they also give me more confidence on the inside to go at life full force. Have you tried any of these? Are there any I’m missing out on?! Let me know below!